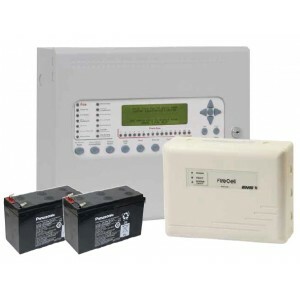 The FireCell Syncro and Syncro AS are a versatile range of open protocol Fire Control Panels, using leading edge microprocessor based electronics, to provide a flexible control system with high reliability and integrity. Available with one, two or four detection loops, both Syncro and Syncro AS Fire Control Panels are capable of hosting up to 126 wireless devices per loop. With a potential mix of 504 wireless FireCell and hardwired field devices per panel, FireCell is the perfect wireless and hybrid fire system solution. Further expansion can be achieved using wireless or hardwired networking to form larger systems, providing a future proof solution for any installation. Both models are third party EN certified and compatible with the EMS FireCell system and EMS Fusion Radio Loop Module (RLM). The FireCell Radio Hub connects to the FireCell Fire Control Panel’s XP95 loop. 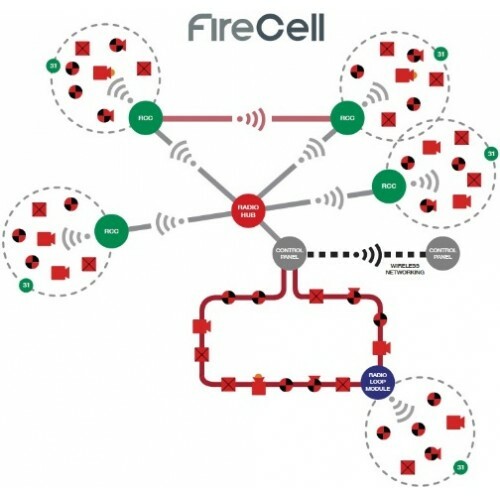 Operating in conjunction with FireCell Radio Cluster Communicators (RCCs), it is possible to create a wireless infrastructure cable of accommodating up to 504 wireless FireCell devices. This device is third party EN certified, combining diversity aerial methodology, Smart Cluster Technology and 32 channel selections to produce fast and reliable wireless communication.